Meat Pro, Hilal Meat Processing is a home delivery service for a range of beef, mutton, chicken and fish. 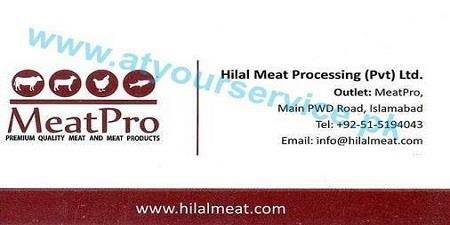 Meat Pro, Hilal Meat Processing is located in PWD, Islamabad. It is a home delivery service for a range of beef, mutton, chicken and fish.